In a report detailing the impact of Washington's ongoing policy, Cuba's Foreign Ministry branded the blockade "the most unfair, severe and prolonged" in the world. Later that year, Trump’s administration then published a list of 179 Cuban entities with which U.S. institutions and individuals or legal entities were banned from doing business. 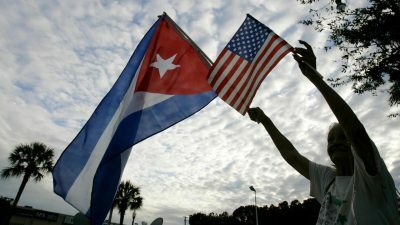 Strengthening the blockade has impacted Cuba’s financial and credit relationships with the international community, the report states, causing “serious damage” to the country’s economy. Stricter sanctions have also been accompanied by increased threats from Washington, D.C., the report continues, generating instability and stymying national development. “The resurgence of the blockade against Cuba has been accompanied by aggressive, threatening, disrespectful and conditioning rhetoric from the highest levels of the U.S. government, which generates greater distrust and uncertainty in financial institutions, U.S. companies and suppliers due to the real fear of being penalized for relating to Cuba,” the report reads. “The economic, commercial and financial blockade imposed by the United States against Cuba is the main obstacle to development of all the potentialities of the Cuban economy. It represents a brake for the implementation of both the National Economic and Social Development Plan, as well as the 2030 Agenda and its Objectives of Sustainable Development. After agreeing to a historic U.S.-Cuban detente in 2014, Obama eased the embargo, which was put into place in 1962. But in 2017, Trump tightened travel and trade restrictions again. Only the U.S. Congress can lift the blockade in full. The United Nations has adopted a non-binding resolution calling for an end to the sanctions with overwhelming support every year since 1992.